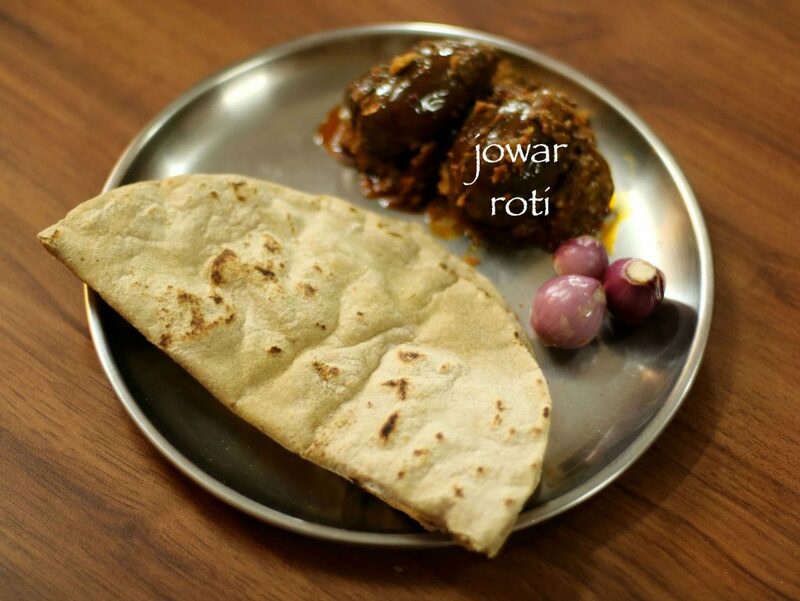 jowar roti recipe | jowar bhakri recipe | jowar ki roti | jolada rotti recipe with detailed photo and video recipe. 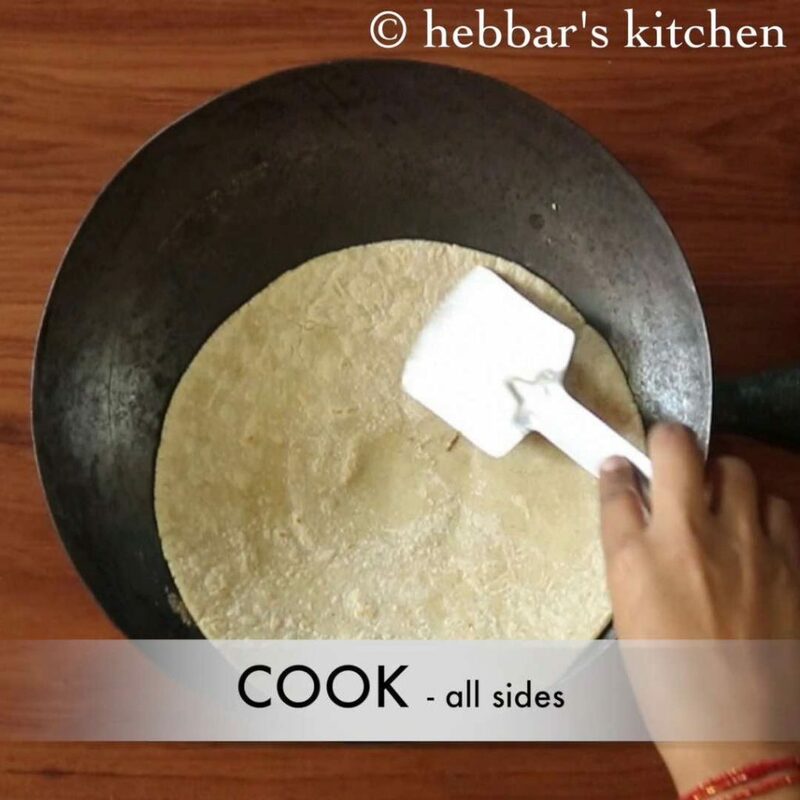 basically a unleavened indian flat bread prepared from jowar flour or sorghum flour. 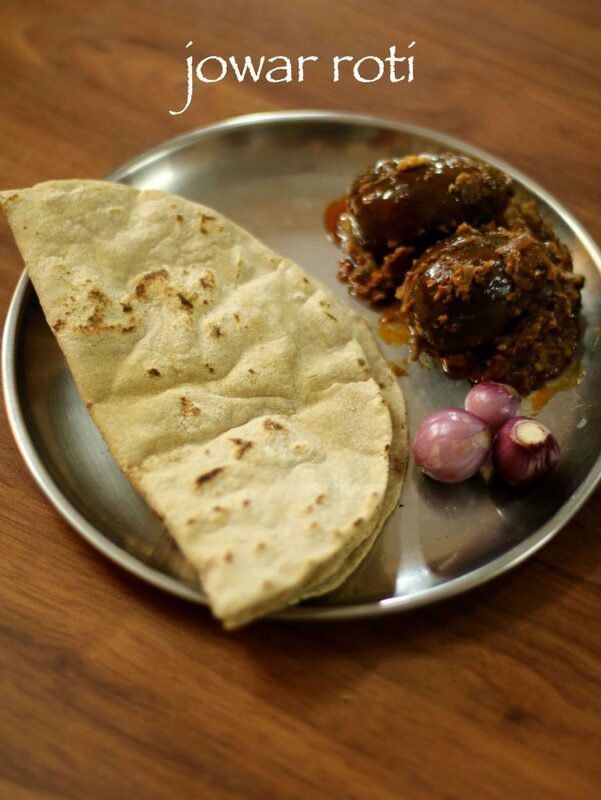 it is typically consumed with stuffed eggplant curry or bhaingan bharta or even with curd and jhunka. 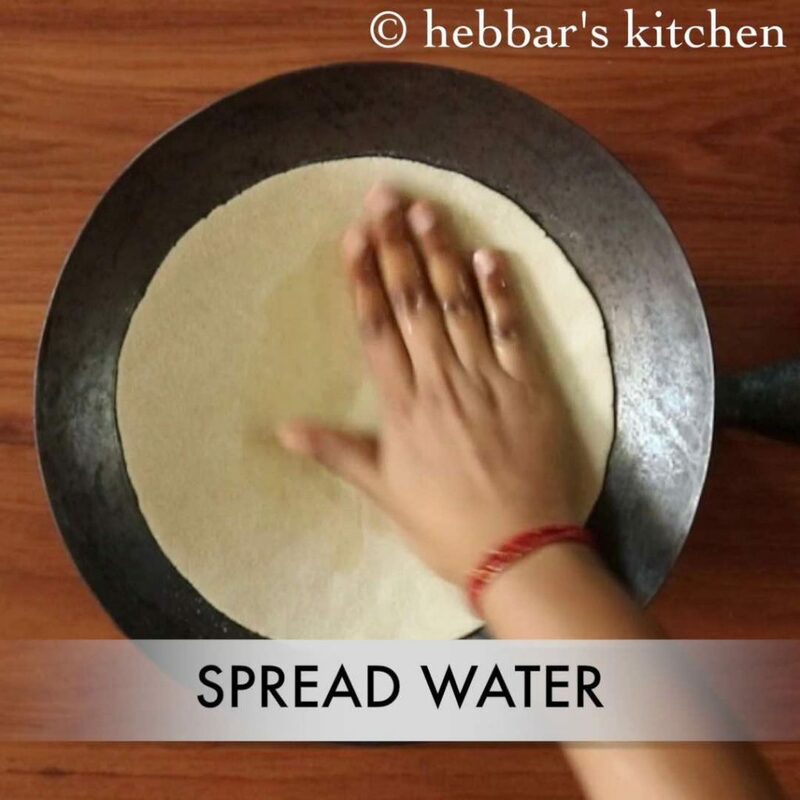 jowar roti recipe | jowar bhakri recipe | jowar ki roti | jolada rotti recipe with step by step photo and video recipe. bhakri recipes are staple diet of north karnataka, maharashtra, goa and southern gujarat. typically bhkari recipes are prepared from wheat flour, sorghum flour, rice flour and also bajra flour. but this recipe is limited to jowar bhakri which is prepared with hot water. i have already shared the recipe of jolada rotti, which i had prepared with rolling pin. however, this recipe is prepared and shared by my friend ashwini and she prepares it bit differently. more importantly, she does not use rolling pin / belan to roll this bhakri. hence i requested her to share her recipe and present it with the video. 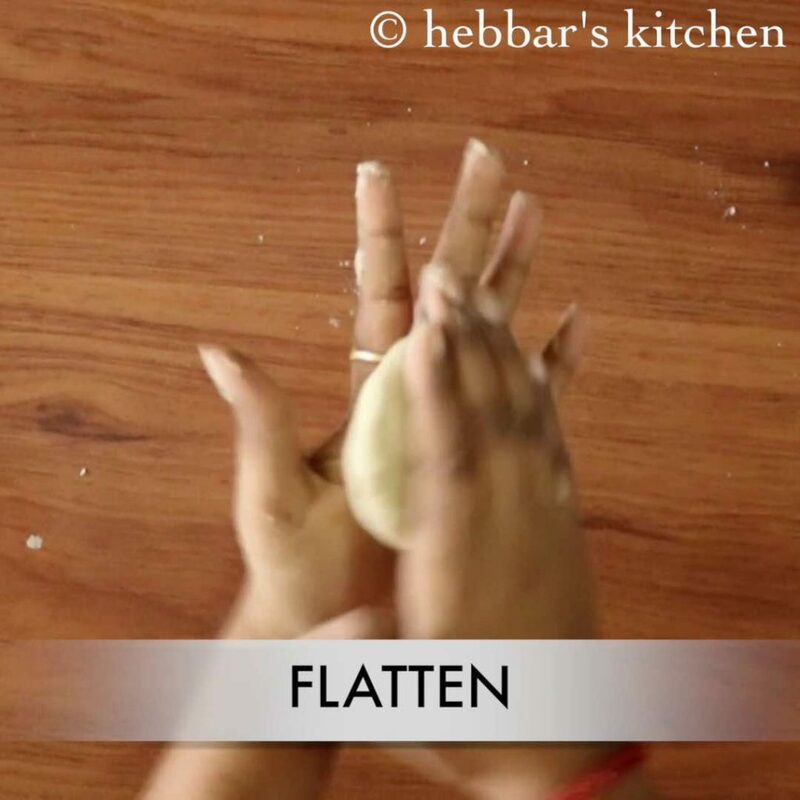 i personally liked the way she pats the roti and yet able to get a perfect round shape. but if you feel that it is cumbersome process, you can always fall back to rolling pin option. if you are beginner, then refer how to prepare jolada rotti using rolling pin. 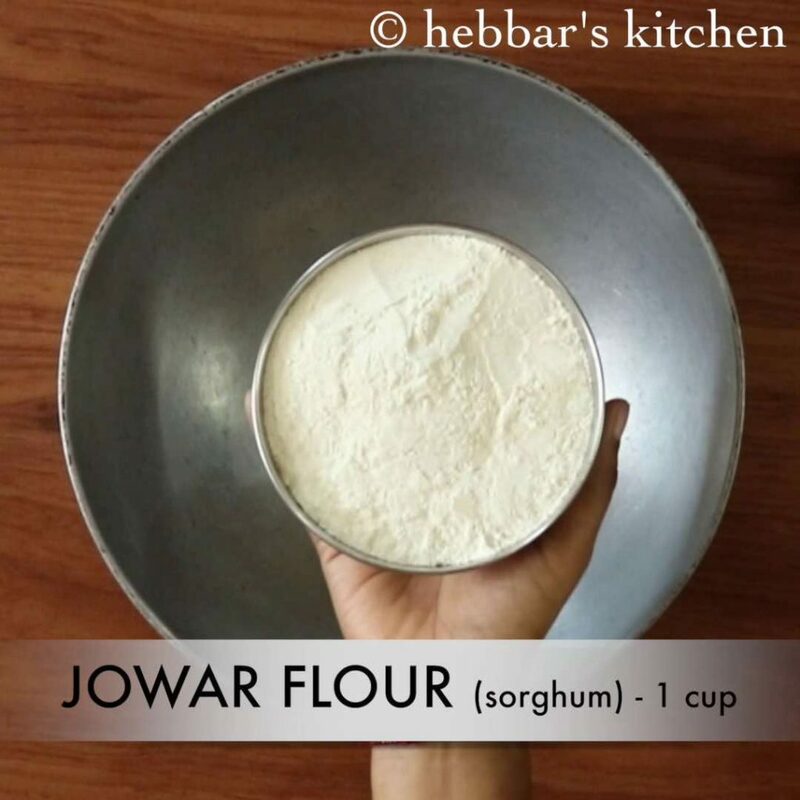 besides, some important tips and suggestions for a perfect jowar ki roti recipe. 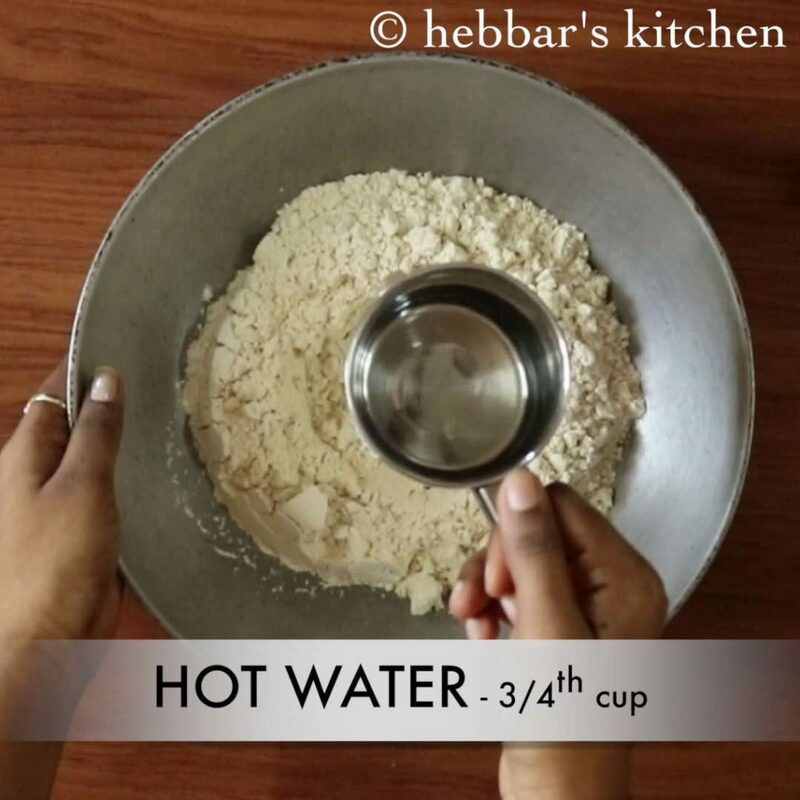 firstly, always use hot water to knead the jowar dough for a soft roti. alternatively, you can also use warm water if you cannot handle hot water. secondly, once the dough is prepared, immediately start preparing the rotis. the dough should not be kept for longer time as it will loose its moisture and would turn brittle. lastly, sprinkle some water on top of raw rotis once it is transferred to tawa. moisture would help rotis to turn soft and fluffy. 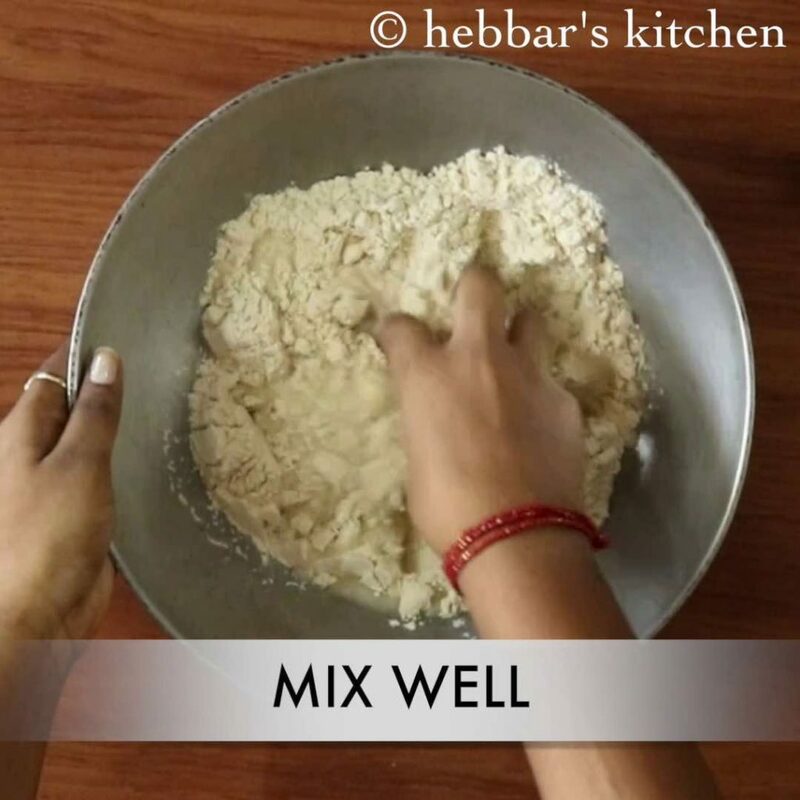 firstly, in a large mixing bowl or kadai take jowar flour and make a well in the centre. furthermore, add ¾ cup hot water and knead to smooth dough. 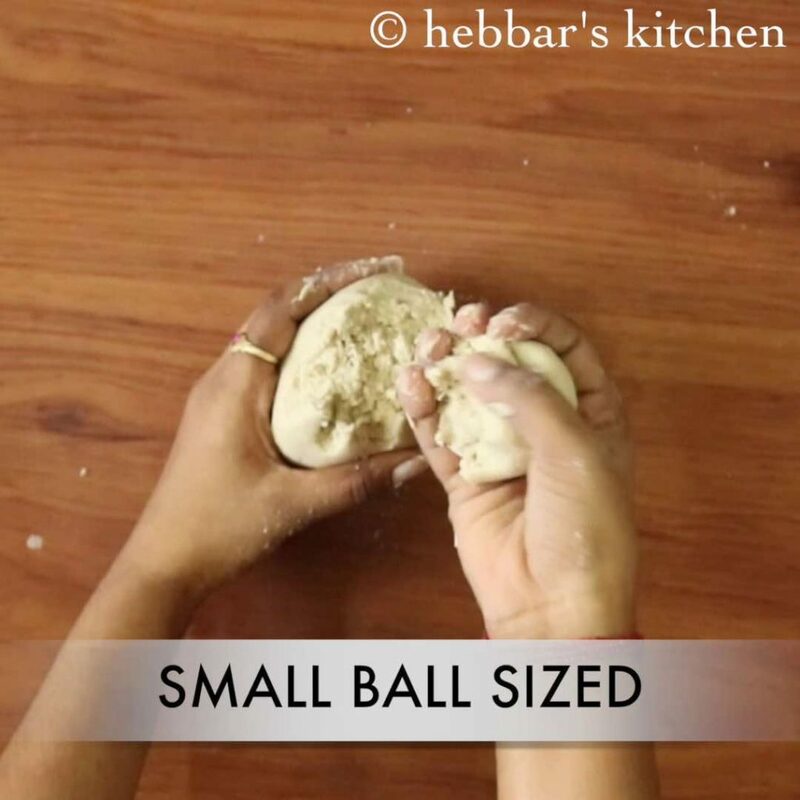 take a small ball sized dough and make a ball out of it. further, pat and flatten with the help of palm and finger. 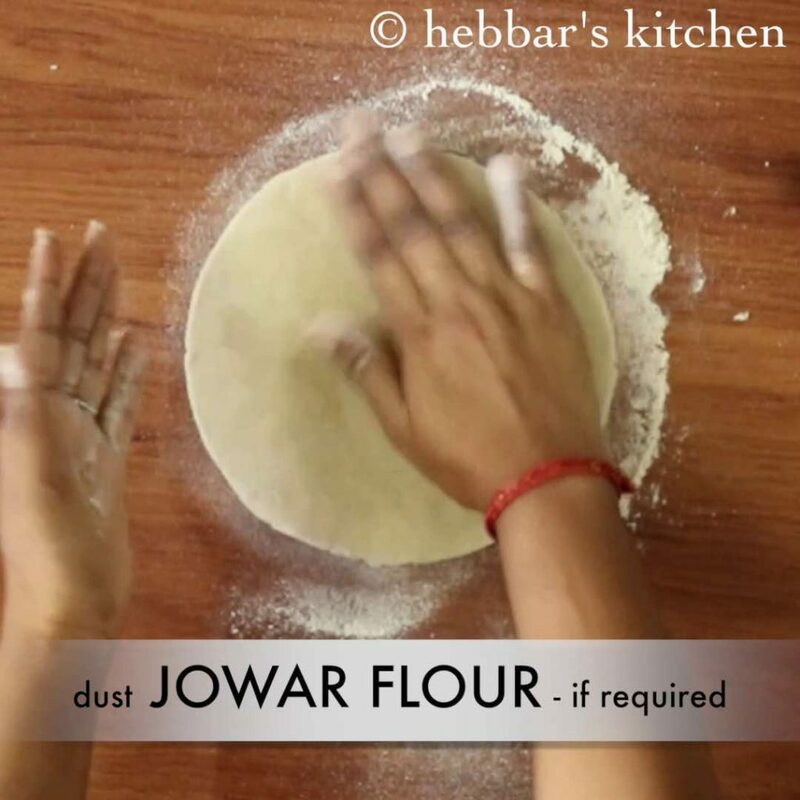 also dust the work station with little jowar flour to prevent roti from sticking while patting. now pat gently with one hand and the other over side to get round shape. 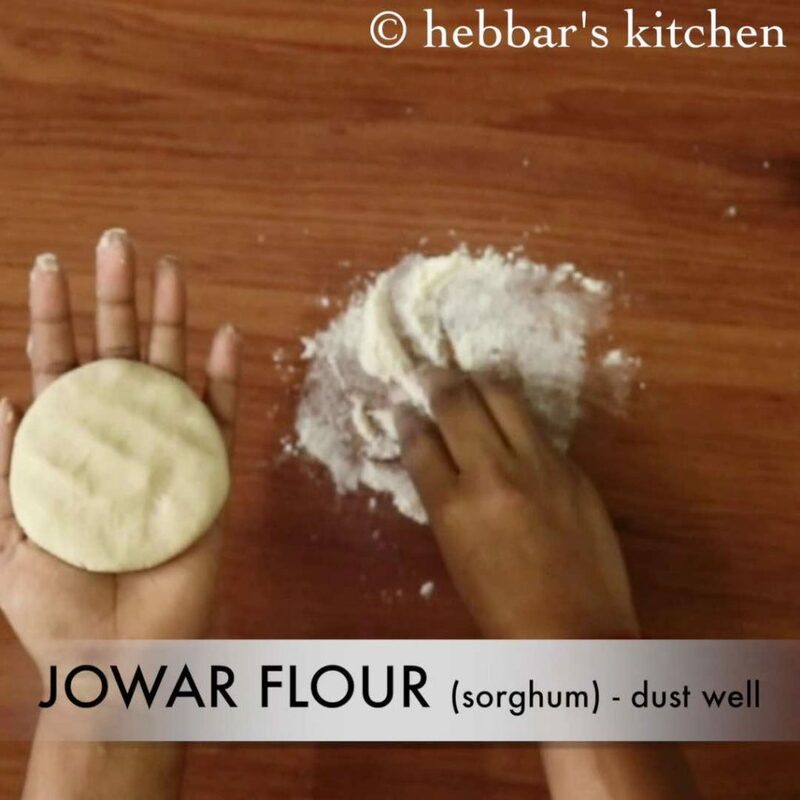 make sure to dust with jowar flour if required. further, with both the hands pat as thin as possible. 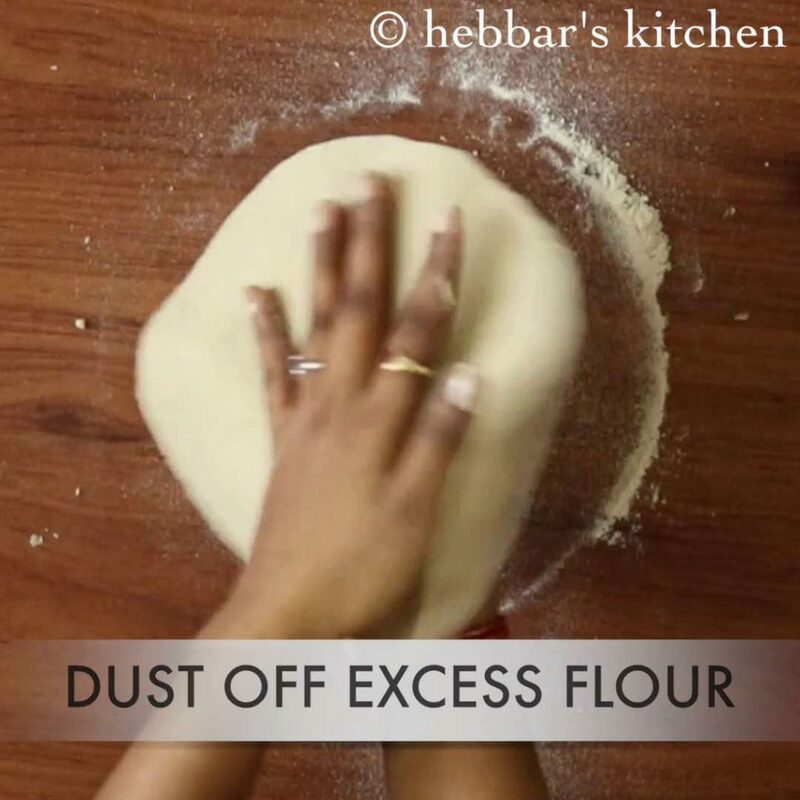 also dust off excess flour from the roti. 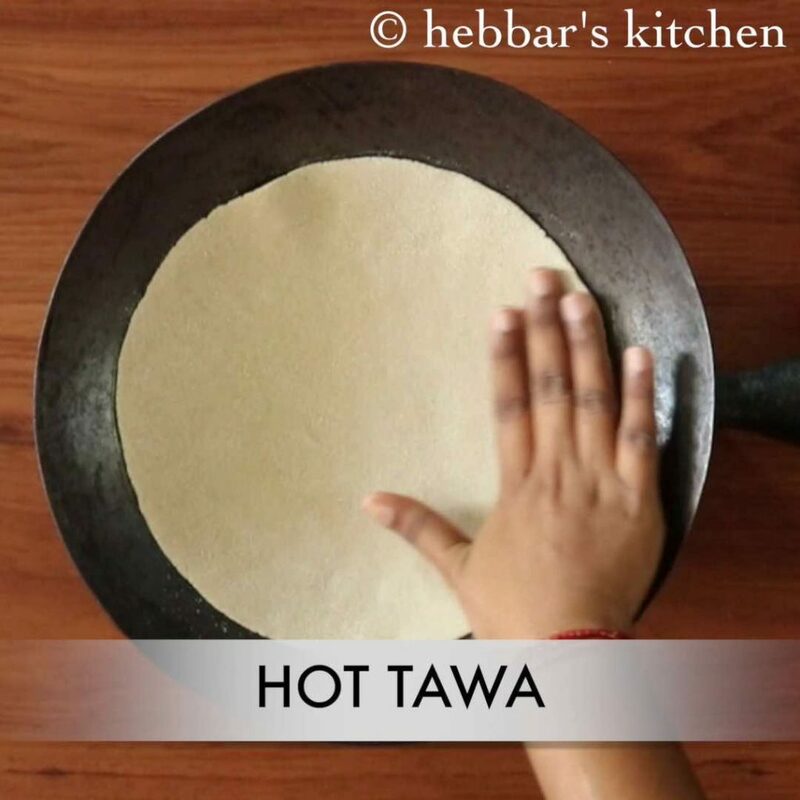 furthermore, put the flattened dough onto the hot tawa. 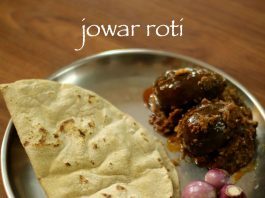 finally serve jolada rotti / jowar roti recipe / jowar bhakri with ennegai or dry garlic chutney. furthermore, add ¾ cup hot water and mix well. be careful as the water is hot. also add more water in batches as required and knead to smooth dough. 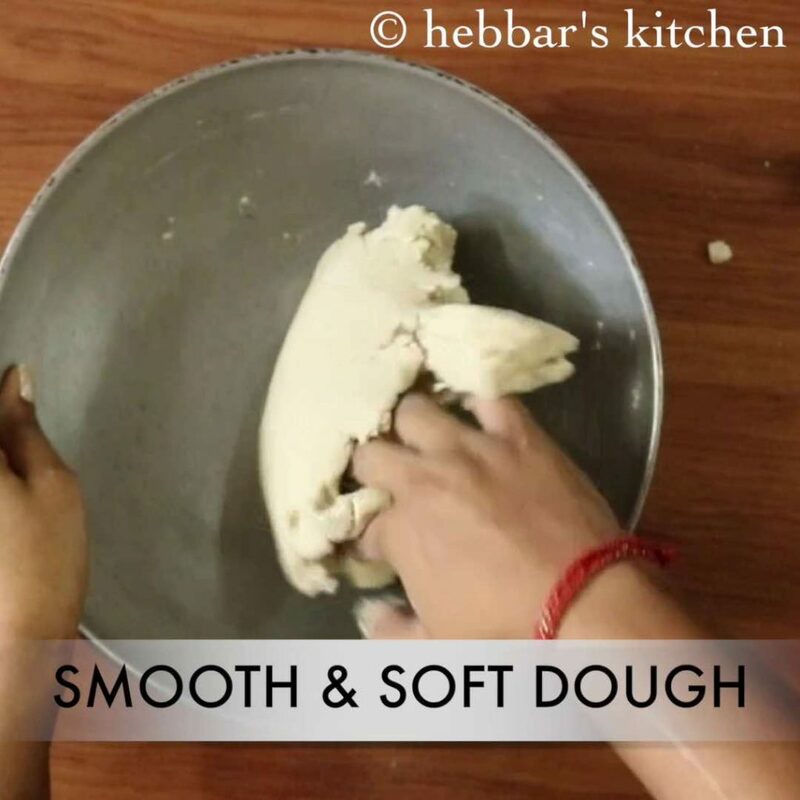 once the dough is smooth and soft pliable dough, take it on to the work station and knead further. 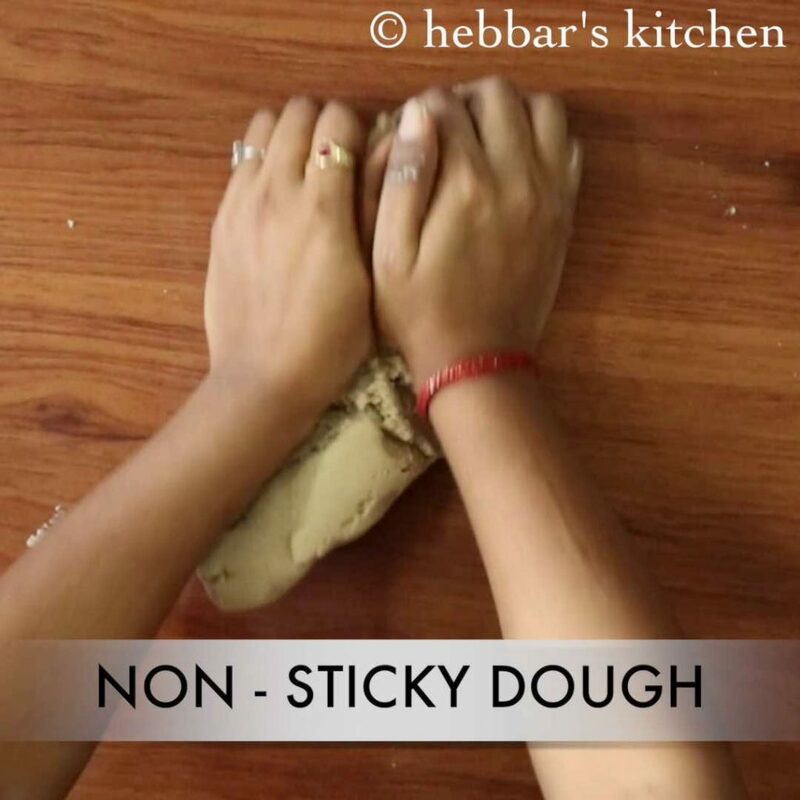 knead the dough till it is smooth, soft and non-sticky. kneading the dough well is very important, else they will break / crack the edges while patting. 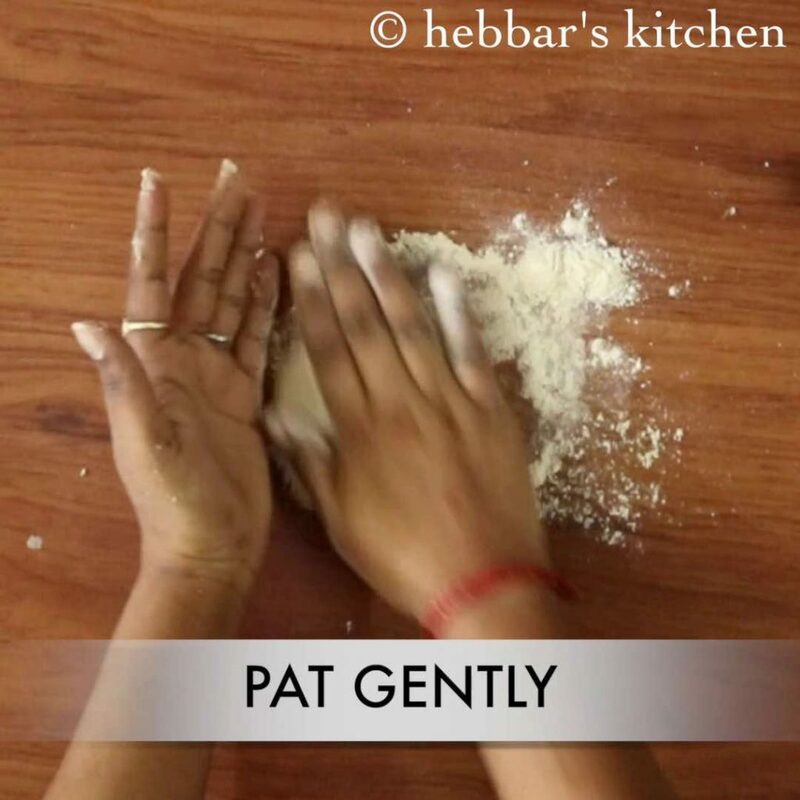 now pat gently with one hand and the other over side to get round shape. 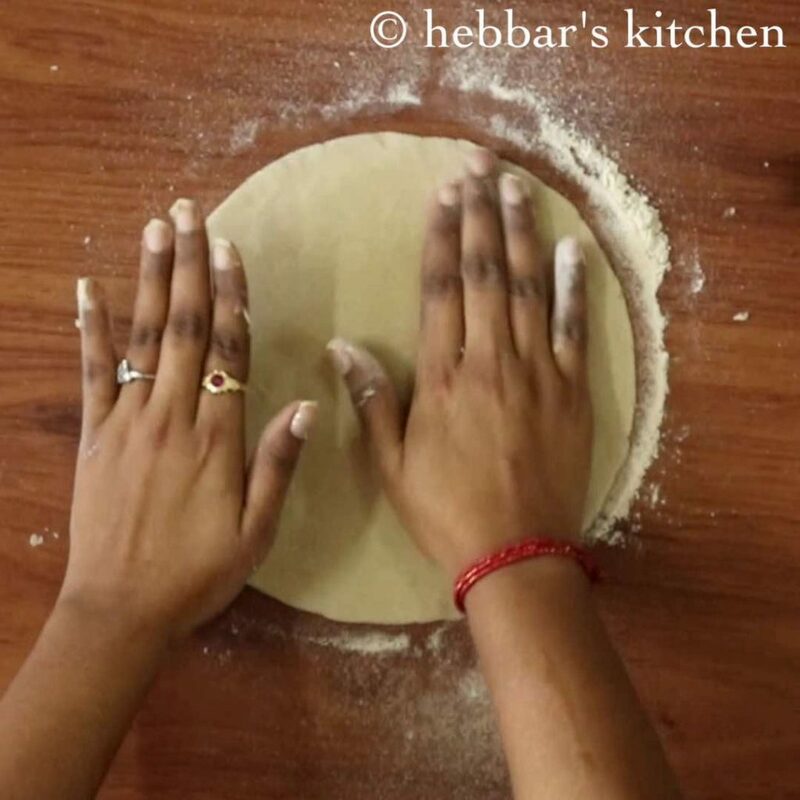 if you are beginner, then refer how to prepare jolada roti using rolling pin. further, with both the hands pat as thin as possible. 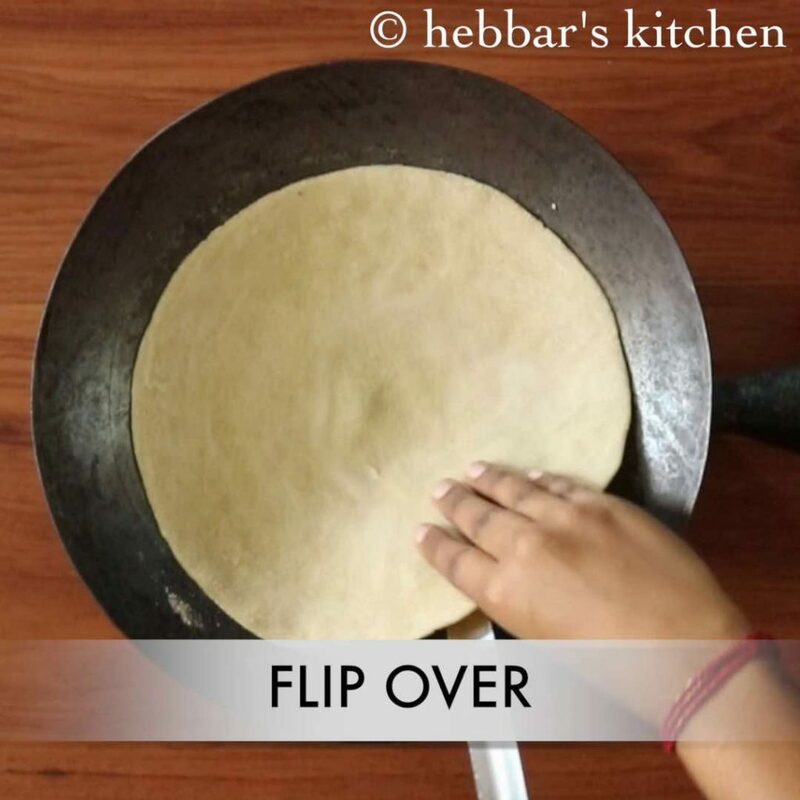 if you are beginner, then refer how to prepare jolada roti using rolling pin. firstly, sieve the jowar flour to filter out impurities. furthermore, add a pinch of salt to the flour. however, in authentic version we do not add salt. finally, jolada rotti / jowar roti recipe / jowar bhakri taste great when patted with hands rather then prepared with rolling pin. this is the only recipe app i follow… its just great… thank u soo much.. hope ur having good time in australia madam.. I have tried this dish, but failed to make as you were made. But I will try again. Thank you for giving tips of the recepie. Yeah try out again.. it needs some practice.. Thanks a lot Usha. Apply some water while frying on tawa. check out my video. thanks a lot and do let me know how it turned out to be. thanks a lot for those nice words. i really appreciate it.